The Prince Edward Flying Club has a long and illustrious history, beginning with its incorporation in 1953. Some 60+ years later, the Club is proud of its accomplishments and contributions to aviation in Ontario and Canada. The Flying Club is located on a former WW II training airfield, an area that retains many of its original wartime buildings and still invokes a nostalgic atmosphere. Close your eyes and you can almost picture those servicemen and women from days gone by, carrying out their duties at this bustling base. CFB Picton was active until 1969. The Canadian Army used Hangars No. 1, 2 and 3. The Royal Canadian Air Force (RCAF) used the remaining three hangars for overhauling and storing aircraft, including the North American P-51 Mustangs; North American B-52 Mitchells; North American AT-6 Harvards; de Havilland DHC-1 Chipmunks; and Douglas C-47 Dakotas. 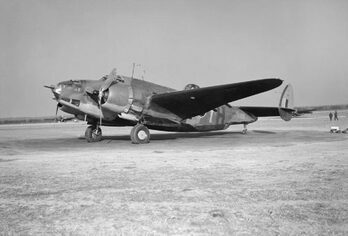 The Airport also housed other aircraft as well as a large supply of engines, propellers, and spare parts. No. 6 Hangar had a major collection of aero engines of all types, some sectioned for display purposes. A rare piece of equipment - a V-2 rocket (minus the warhead) was virtually intact and included its wheeled carriage. The V-2 was eventually bulldozed into the Picton Base dump. Outside storage included several Lockheed Venturas and a number of Grumman Gooses. The Venturas were eventually flown out, and the P-51s sold to Cavalier Aircraft in Florida. In the 1950s and 60s, operating a civilian flying club on an active military base had its challenges, not the least of which were the flying restrictions. Pilots were able to use the airport only when the base was shut down in the evenings and on weekends. Both local and military members played a key role in helping to build and support the Prince Edward Flying Club. Some of the military were also members of the army base known as, Camp Picton. Mel Bradley, a sergeant in the Royal Canadian Electrical Medical Engineers, worked to obtain the necessary qualifications as the Club's first flight instructor. 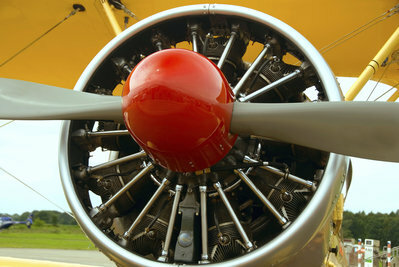 The Club's first airplane was a 1946 Piper PA-11 Cub Special, purchased for the princely sum of $1,500. Thrown into the deal was a spare runout engine and a pair of skis. Renting the Piper came with a $10/hour price tag for dual, $9/hour for solo, and $8 for a pilot. The Club's first headquarters operated out of a "spacious" 10' x 5' office space at Picton Airport, a building originally used to store ammunition. With its one door and one window outfitted with iron bars, security was never an issue! Neither it seemed was heating the space so a stovepipe hole was hand-drilled through the concrete walls. However, the draught for the stove caused continuous problems due to a lack of a proper chimney and ventilation. Today, those original pilot log books and documents can be easily identified by their coating of black oily soot from the numerous stove explosions. Not surprisingly, ground schools were held wherever a suitable, inexpensive location could be found. The local Legion, armouries and army classrooms served as appropriate training venues. In December 1954, 19 newly minted pilots earned their wings. 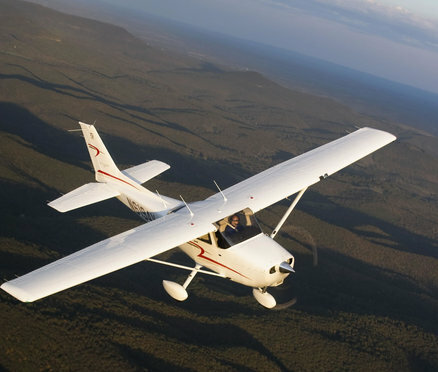 Over the course of the Flying Club's first 50 years, the Club flew more than 45,000 hours; trained some 500 private and 100 commercial pilots, with a number eventually obtaining their instructors' ratings. The Club also sponsored and employed many aircraft maintenance engineers during the time it operated a flying school. Thanks to Murray Clapp, one of the early Club members and a CFI who chronicled much of the history of Prince Edward Flying Club from 1953 to 2003. His vivid stories capture the adventurous and tenacious spirit of the Club and its members.